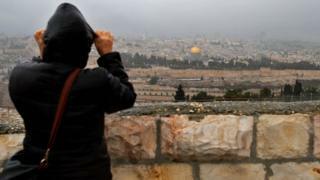 US President Donald Trump’s decision to recognise Jerusalem as Israel’s capital has been met with a wave of disapproval – even before he formally made the announcement. Leaders from within the Muslim world and from the wider international community were swift to criticise the move, and warned of violence and bloodshed as a result. Mr Abbas’s diplomatic adviser, Majdi Khaldi, said Mr Trump’s announcement might end Washington’s role as a mediator. “This would mean they decided, on their own, to distance themselves from efforts to make peace,” he told the Associated Press news agency. Hamas spokesman Hazem Qassem said the decision “confirms what Hamas have always said, that the United States has not and will not be an honest broker in any case concerning our people”. Education Minister Naftali Bennett hailed the decision, saying “the United States is adding another brick to the walls of Jerusalem, to the foundation of the Jewish nation”, and urged other nations to follow Mr Trump’s lead. 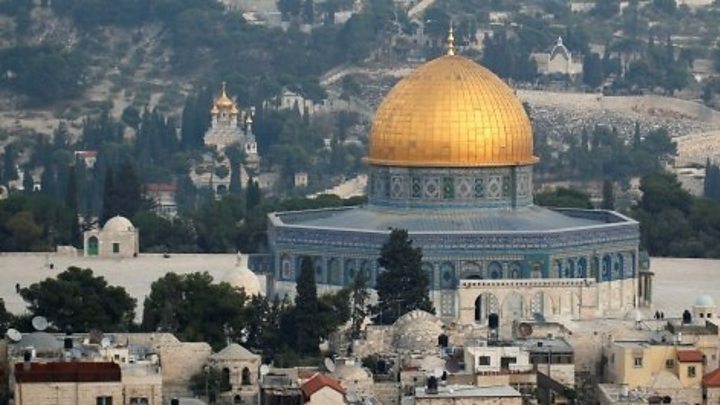 Turkey’s Prime Minister Binali Yildirim said: “Jerusalem is a very delicate subject in the Islamic world. Our biggest expectation and hope on this matter is that no steps are taken. Impositions, wrong steps in this direction would bring irreversible consequences.” President Recep Tayyip Erdogan on Tuesday called it a “red line for Muslims”. Meanwhile, Jordan’s King Abdullah called for joint efforts to “deal with the ramifications of this decision and to counter any action that undermines the Palestinian people’s aspirations for their own independent state, with East Jerusalem as its capital”.